TDA 2003 has a better performance than the tda2002 using the same configuration of pins. 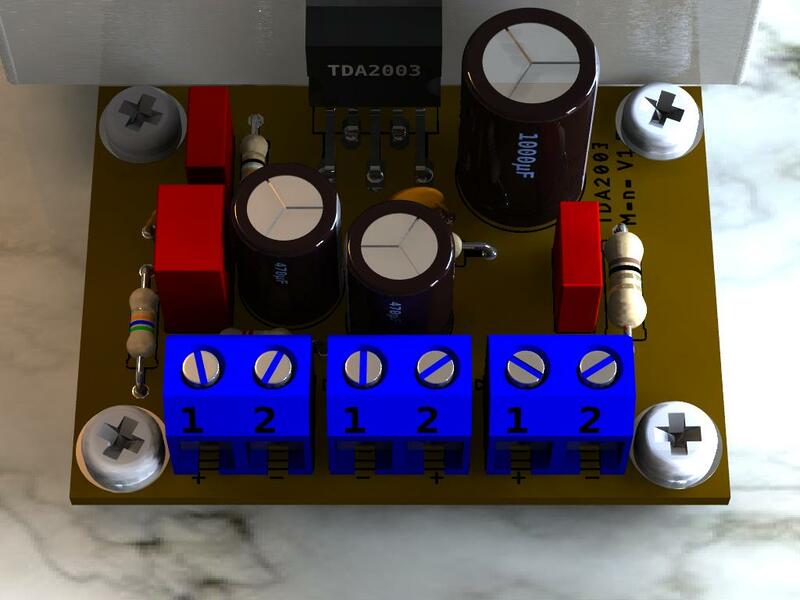 Additional characteristics in relation to the tda 2002, it demands few components external, easy assembly, it is a low cost solution for an audio amplifier. 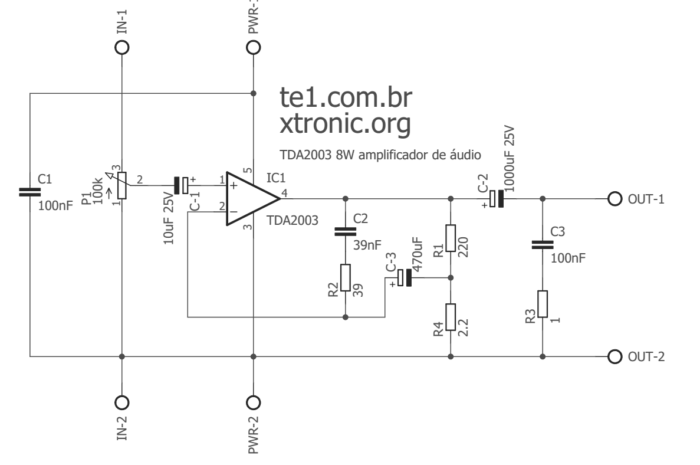 A mounted amplifier with tda2003 presents protection against short of the pins with the ground. The good of setting up an amplifier with tda2003 is that he easy of being found at the market, even for who is far away from the great centers, has the possibility to do to buy him/it integrated by the internet. The tda2003 can be supplied by batteries by a long period. It is treated of an assembly easy of being accomplished what is necessary it is just a tda2003 and one more half dozen of components. 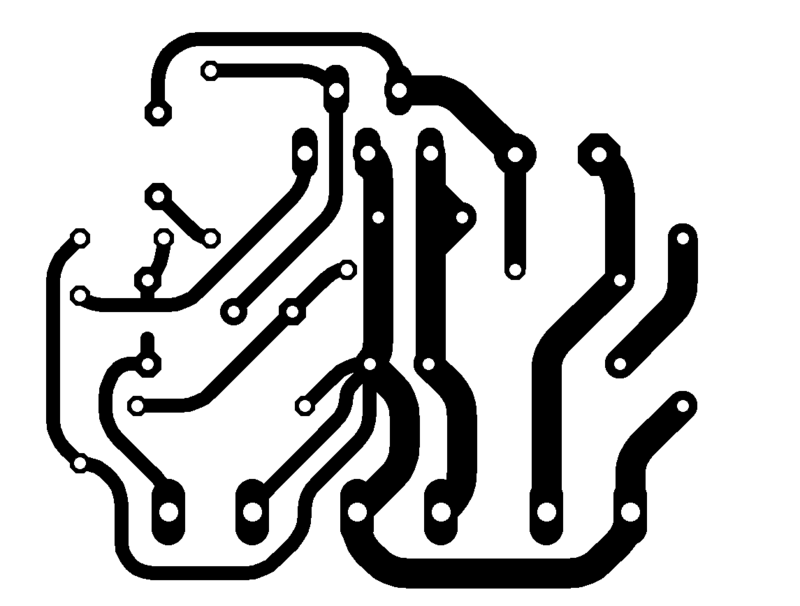 To facilitate the assembly the circuit it counts with a printed circuit board. 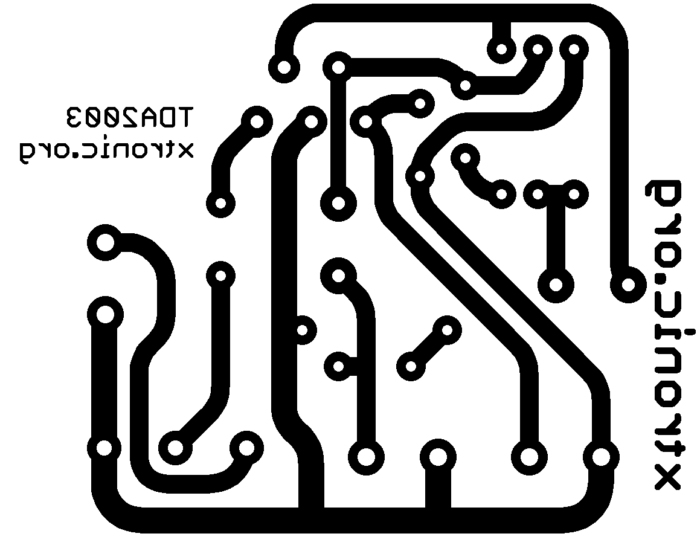 Suggestion of printed circuit board for assembly of the amplifier with tda2003. Buy Audio amplifier diy kit in Aliexpress with free Shipping in the Worldwide. C2: 39nF is not available here. Can I use 40nF? Dont we need to know resistors watts? How to buy them then? Or watts of resistor doesnt matter? 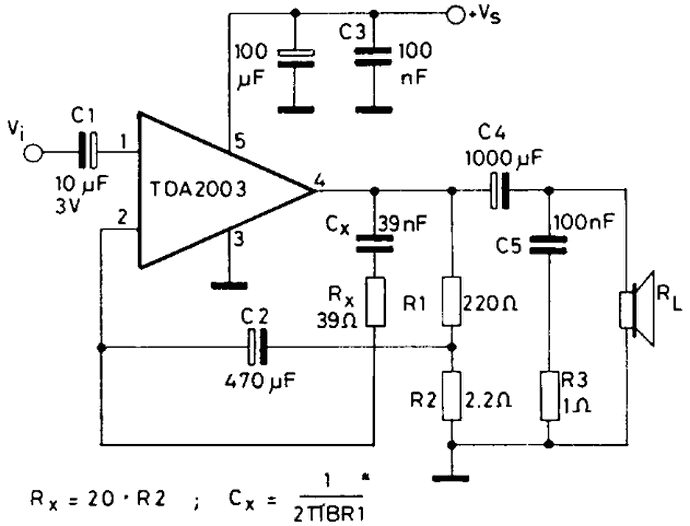 i just want to know what is the input voltage of this amplifier? i want to know the name of the software on which this is simulated (tda2003)? 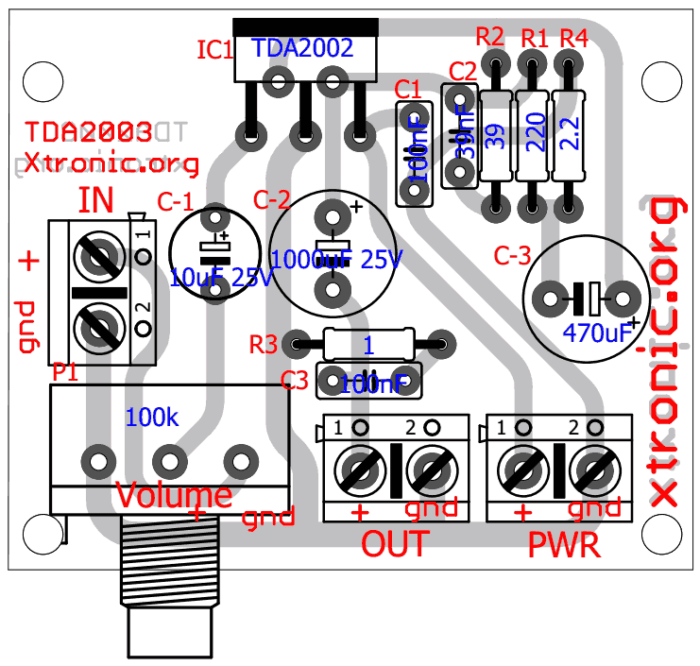 can i use 40ohms resistor for Rx, and a 40nF for the Cx? thank you so much, i enjoyed browsing, my student admired and enjoyed searching for their projects through this site. where did i connect the volume control? Anyone assembled this one and thested with this values? 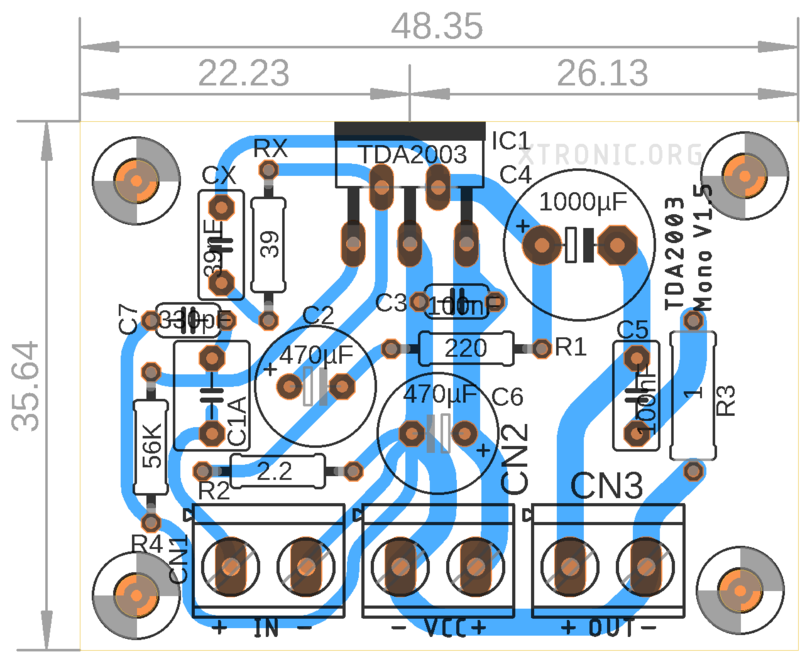 i’m a little bit confused in this project, i don’t know wheres the “+” and “-” for the input voltage and for the input of sounds and the output of the speaker.. please help me.. what is the input voltage?